From an additional electrical socket to a complete re-wire. JW Jones also have an in-house electrical division. 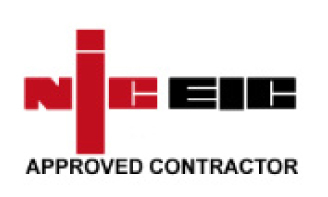 As well as our Gas Safe gas heating engineers we also employ fully qualified NICEIC registered electricians, who can install virtually anything! 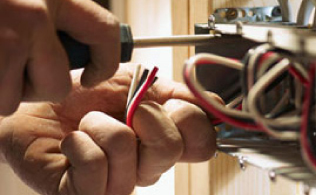 Established and experienced we are dedicated to providing a superb range of electrical services tailored to meet all your electrical needs, from installing a new plug socket, house re-wires through to garden and security lighting. Our dedicated team will ensure that all work we undertake on your behalf is carried out to the highest levels of workmanship. 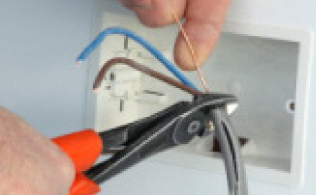 If you require an electrician then we are the company to call for a comprehensive range of services that will be completed promptly and professionally. 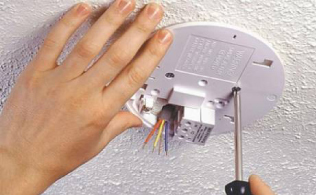 HAVE YOU TESTED YOUR SMOKE ALARM? If it's not working, contact us immediately and we will be happy to assist you.